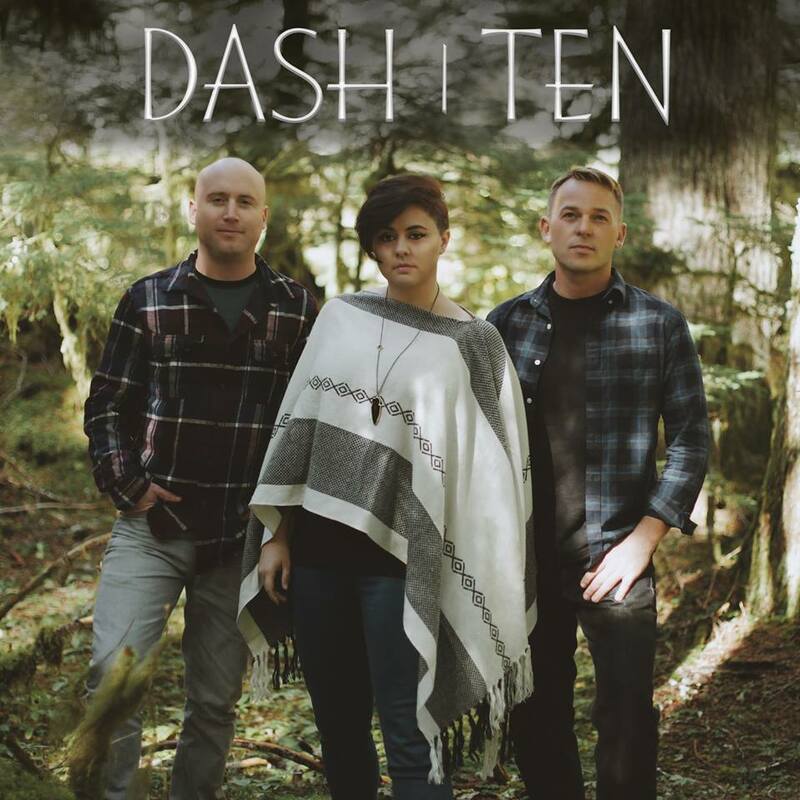 Hailing from Louisville, KY, rock/punk band Dash|Ten‘s self-titled debut album provides a glimpse into an interesting take on a well-worn sound. Lead track “What You Wanted” tears the hinges off the gate right off the bat, with a propulsive, aggressive riff. It’s not heavy, but it is angry, and the vocal delivery by frontwoman Corrin Campbell is incredible. The band’s music is in lockstep with a lot of the bands Dash|Ten will be sharing the stage at on Warped Tour, but on this song particularly, Campbell’s voice has rasp and grit that make it an instant standout. Following track “The Scene” is pretty daring, especially as an early-album song, featuring a simple stuttering chug of a riff, but the verses are almost spoken-word, and the chorus is pop at its best (catchy and familiar without being devoid of personality, in other words). “Where I Stand” has a fun, airy guitar lead, but overall struggles to break out of a 4-chord slog. “Not For Sale” is fun and energetic, but doesn’t have the creative spark of “What You Wanted” or “The Scene,” a problem shared by following tracks “Pieces,” “Sunbeam” – which is brooding but not intense enough to do anything with it, and “Truth,” which has a brilliant chorus hook but has the weakest verses of the album. “Truly Untitled” snaps the album out of its rut with a nervous, edgy guitar line and bass leads that blends 90s alternative and modern radio rock to great effect. It’s hands down the best song on the record, coming across like a post-Halestorm recreation of 90s alterna-rockers Garbage, or No Doubt feeling particularly devilish. Closing tracks “Heavy” and “Equations” feature opposite strengths and weaknesses: “Heavy” has some of the best melodic guitar work on the album, but the vocals seem bland and uninspired, whereas “Equations” has a forgettable guitar hook and a glacial tempo, but amazing vocals and a fun, punchy bassline. Dash|Ten certainly show promise on their debut. Simply by merit of intentionally avoiding the “Paramore sound,” they have a head start on the vast majority of their contemporary female-fronted acts. The debut’s only flaw is that it’s wildly inconsistent. “Truly Untitled” and “What You Wanted” are as good as any mainstream rock tunes to come out this year, but songs like “Pieces” and “Sunbeam” feel like filler put in place to flesh out too-short live setlists. If they can take their time on their next album and focus on quality over quantity, they are certainly a band to keep an ear out for.